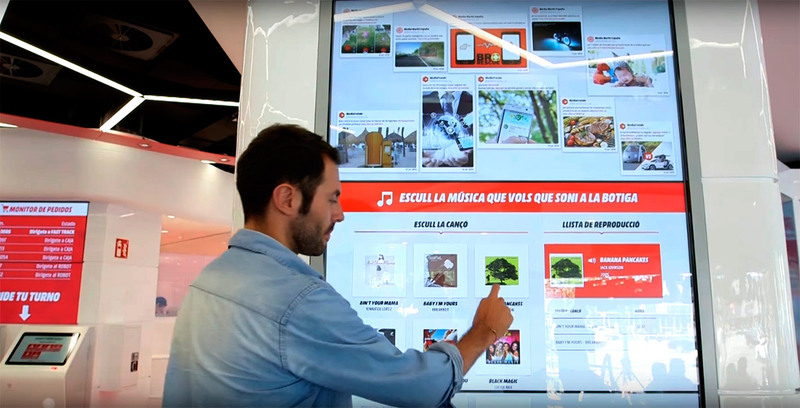 Background music and radio adverts are essential for the in-store experience and communication with the customer. At TSLab we have been creating music channels for stores, supermarkets, restaurants, shopping centres, hotels and events for 50 years. Our R&D and Contents departments keep us at the cutting edge of music distribution technology. We have a fresh musical content to create musical identities for companies such as NH Hotels, Paradores Hotels, Orange and Grupo Cortefiel, among others. We have more than 1 million tracks and a great team of passionate music experts, to shape your Audio Branding identity. We have designed more than 70 musical channels. Pop, Rock, Jazz, Chill … Take a look at our musical styles and our team will help you choose the right one for you. Reinforce your brand, promote your sales and communicate with your customers through jingles and radio adverts. Our musical repertoire consists of music from SGAE-AGEDI-AIE and other management entities. Do you need advice? Ask us. We constantly update all channels. This is how we always have fresh themes and avoid repetitions. Forget the ‘CD effect’ and the random play! RMX is our advanced control system for background music. It includes an auto-installing player to play music wherever you want in your store, and an online platform where you can control what is playing any time. An online platform for playing music. You won’t need for any extra device: sign in to your user account from your computer, choose the channel you want and you are ready to go! We create customised projects so that your customer can interplay with your brand through music in your stores. 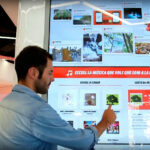 Your customers will be able to choose which song they want playing in the store via a touchscreen. The Jukebox system is synchronised with our RMX player. Songs selected then go to a waiting list and fit in with the music schedule. Your customers decide what song to play in the store via Twitter with Shop & Music. They simply have to tweet a hashtag and the name of the song they want to listen to. The user receives a Direct Message (DM) with the exact time the song will be played. Shop & Music is integrated with the RMX system, which works alonside with the rest of songs from the usual schedule. You can use it to make campaigns, with response messages including advertisement, promotional offers, information, etc. 99% of retail workers think that stores with music are a more modern and attractive place to shop. 35% of customers stay longer in a store if they like the music, and 14% buy more. More than 75% of our decisions are made by the emotional part of the brain. 88% of employees are more efficient when they listen to music. We want to be the music of your brand.